Before starting our conversation, I want to ask you something. Are you reading this because you are unhappy, at a loss, desperate to get some ways to know how to be happy? Or rather happy, still want to check out whether you are doing something wrong which you should stop to be happier? 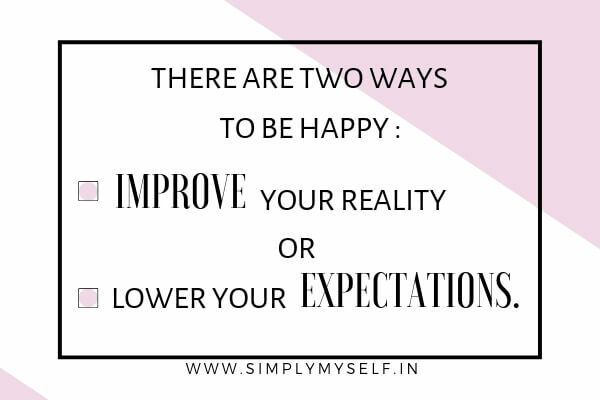 For people fitting in any of the two categories, I want to say you are at the right place and would like to applaud because you are ready to know, to accept and (most likely) to change the ways which stop you from feeling happy. 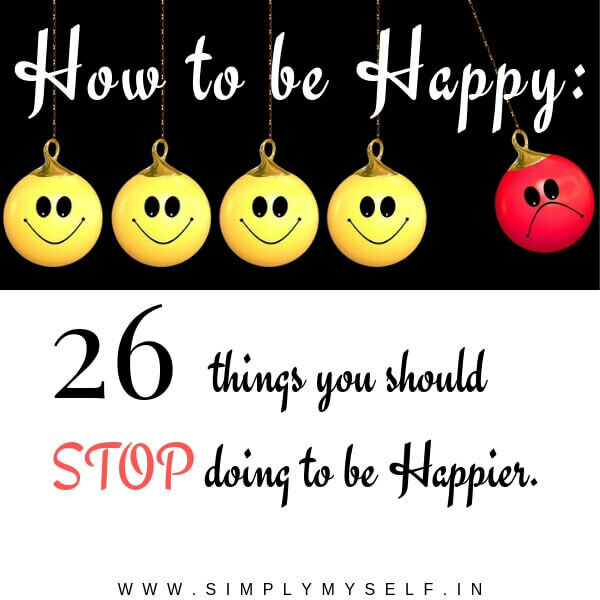 Here is the list of 26 such things which you should stop to be happy. 1. Stop having too many expectations from others. You expect others to agree with you, to respect you, to listen and acknowledge you, to love you. Can you change yourself to this extent according to others’ expectations? 2. 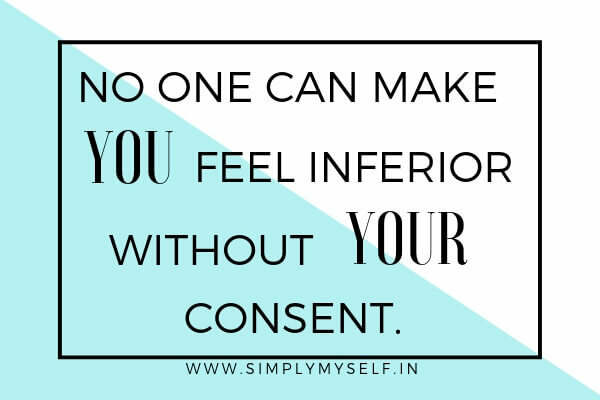 Stop comparing yourself with others. 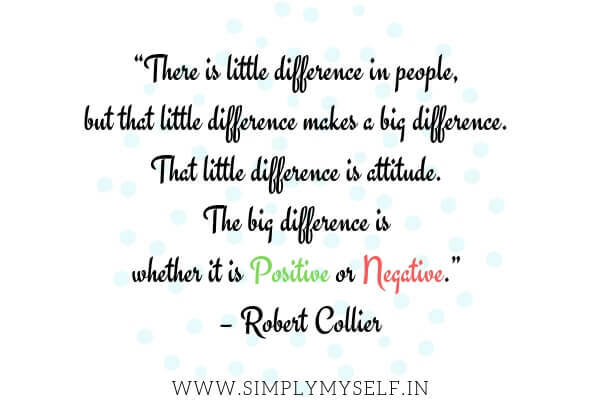 Comparisons are odious because it increases negativity and sometimes fills you with an inferiority complex. No matter how hard you try, there will always be few who are ahead of you. You are UNIQUE and so are others. Then why should there be any comparison? 3. Stop being jealous . 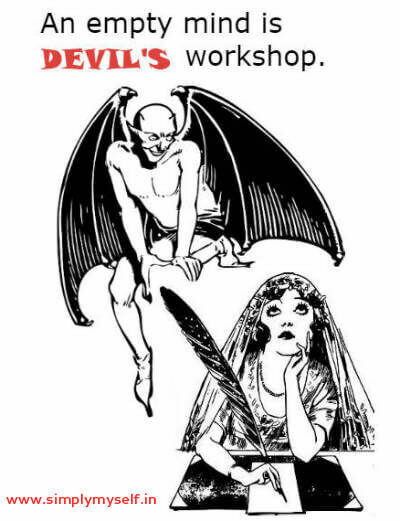 Jealousy is regarded as ‘the green-eyed monster’ and you are bitten by that monster whenever you feel discomfort to see others living a better life, to see someone becoming more famous, to see someone more talented than you. To eliminate this monster from your thoughts, learn to conquer these 3 causes of jealousy – insecurity, fear, and lack of self-confidence. 4. Don’t indulge in idle time spending. When you are occupied with something, your thoughts are channelized and your mind occupied. When you sit idly beyond a reasonable limit, a sense of worthlessness is felt so strongly that it hampers your self-confidence. Do not allow your mind to be the workshop of your own unhappiness. 5. Stop getting overwhelmed with negative emotions. Negative emotions like anger, frustration, anxiety, fear, resentment are human emotions and thus, not ‘bad’ but unpleasant to experience. Life cannot be a collection of all pleasant memories and circumstances. Accept the circumstance completely without judging it and you will feel the quiet. 6. Stop overusing social media. On a boring Sunday, when you didn’t have anything to do, you opened Facebook and saw all those status updates, check-ins to happening places, pics of festivities and vacations. All smiles and smiles and smiles! It is then, the feeling of loneliness, guilt, and shame set in which made you disconnected and unhappy. So when you feel that this means of communication is triggering social comparison and envy, you know you need a break. 7. Stop trying to be a perfectionist. 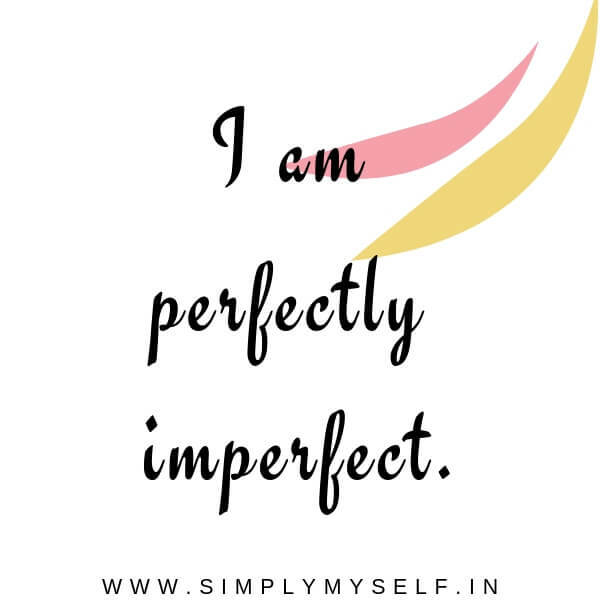 Perfection is ‘illusion’ for there is nothing and no one in this world as perfect. You picture an ‘ideal world’ where you have perfection in every domain- whether it is work or relations. Thus, you have already raised your expectations to an unrealistically high rank which is impossible to meet. Get real and strive to do your best rather than striving to become a perfectionist. 8. Stop self-defeating talks with yourself. Self-doubt, self-pitying, self-blaming for things which you cannot control, are all self-defeating or self-destructing habits. Have self-talk but with a positive, realistic and growth mindset. 9. Stop saying ‘Yes’ for everything. So you say ‘yes’ to everything. Even when you are continuously thinking No..No..No.., you blurt out ‘Yes’. Why can’t you say No? Answers are many-Fear of being judged, rejected. You don’t want to hurt others’ feelings or you want to please everyone. Remember the childhood when you said no easily and did only what you liked and still, you had the purest heart? Then hold on to your childhood beliefs and say yes only if it is worth saying to something. 10. Stop saying ‘ No’ to everything. Having read the last point, it becomes important to understand how to make a balance between saying ‘yes’ and ‘no’. If your ‘No’ sounds like ‘I can’t’, that reflects your indecisiveness. If you say no to the new opportunities and adventures it affects your growth adversely. Decide wisely. 11. Stop saying “I am too busy”. Our words affect our feelings. Busyness is good but telling every time “I’m too busy” has a negative effect on your mentality. It soon develops into an excuse to disconnect from people and stops yourself from enjoying the present. 12. Stop giving opinions without being asked. No matter how good your intentions are, do not jump into someone’s matter with your opinions without their permission. If someone doesn’t ask for your opinion, that means he doesn’t need yours. Accept it and believe me you will have more time for your own growth and happiness. Many of us have the habit of Procrastinating or putting off the work for no reason. Later they regret not having done their work on time. The more you waste your time, the more your anxiety increases. Manage your chores according to priority. Do it on a regular basis and see the results in a few days. You are happy even before you realize it. So we have come halfway. Liked what you are reading? Let’s move on. 14. Stop living in the past. Why does your mind tend to tread towards the past? Either you want to relive the happy moments or the painful moments of past haunts you. Those happy moments have gone but this present moment is in your hands and only you can make your present happier. Similarly, the painful past is gone. Forgive and start afresh to create new memories. 15. Stop talking about your problems all the time. Can you laugh over the same joke again and again? Then why should you cry over the problems and difficulties all the time? and when it becomes overwhelming, ‘count your blessings ’. Do you measure your happiness through achievement? Then why does it happen that as soon as you achieve something, the urge to achieve more makes you more dissatisfied rather than happier? Stop chasing it, stop measuring it and you will realize that it is already there around you. Stop pretending to be somebody you are not. Stop pretending that everything is fine. Stop pretending to be happy all the time. Do not try to impress others. Be yourself, be happy. 18. Do not give the key to your happiness to others. You become happy when someone praises you. You become angry when someone criticizes you. You feel depressed when someone talks behind your back. Why are you dependent on others for your happiness? Others’ mood and actions must not affect your moments of peace. Your key to happiness should not be in someone else’s pocket. 19. Stop neglecting small happy moments. How do you feel when the song you were trying to recall plays on the radio? How does it feel when you get a surprise treat? when while driving you do not get a single red signal on the way. when you get a handwritten letter. when you feel the breeze sitting on a beach? There are countless such little happy moments which you ignore because you are looking out for intense happiness. 20. Stop focusing on what you don’t have. Focusing on what you don’t have is a synonym to “being ungrateful”. It means you do not value what you have now at present. Just do yourself a favor today. Make a journal and take note of things you are grateful for and see how this simple exercise uplifts your mood. If you live in gratitude, even misfortune can’t stop you from being happy. 21. Stop depending on material possessions for happiness. It is a materialistic world where our status is raised as our wealth increases and our dominance increases as our status gets raised. However, it is not a guarantee to be happy. If it was so, every rich man would have been happy. That means material possessions are necessary but not so much that you become its slave. 22. Do not have high expectations from yourself. Having expectations is good but it should be reasonable and healthy, which will help grow your self-esteem. 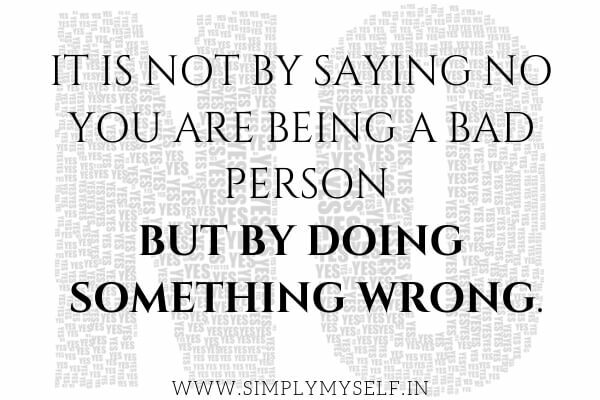 Too many expectations from yourself are nothing less than giving punishment to yourself for being good at your work. It is natural to make mistakes, to fail. You can’t be good all the time. 23. Stop your unhealthy lifestyle . Health is one of the biggest factors in determining how happy a person is. Whether it’s unhealthy food habits like eating junk or addictions like smoking, alcoholism; whether it’s unscheduled meal timings, imbalanced diet or lack of physical and mental exercises – all lead to fatigue, depressed mood, irritability- enough poisons to cause unhappiness. 24. Do not hold onto grudges. 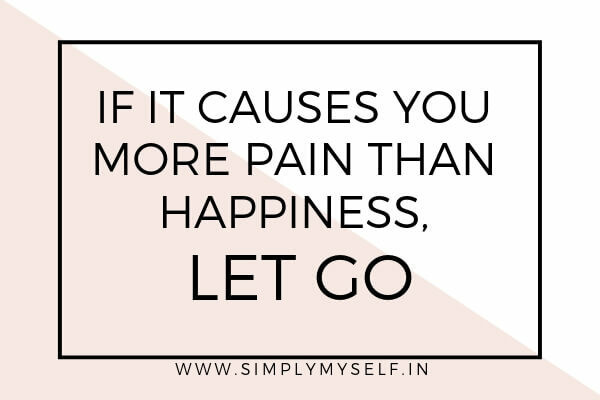 Resentment creates bitterness and pain which in turn cause stress. “Letting go” is the best mantra to be at peace. Hold onto this mantra to free your heart of all the grudges you have kept inside. 25. Stop being in negative surrounding for too long. Negative people have a problem for every solution. Being in a negative surrounding with such people will make your thoughts negative too. In fact, even if you are alone, never let your thoughts create negative surrounding for you. 26. Stop seeing intentions behind others’ actions. Sometimes events in past changes our thought pattern forever. You become so self-centered that you think others are going to take advantage of you. It is good to be on guard but do not suspect everyone. In reality, majority of people whom we come across are not interested in you and so busy in their lives that they do not even think about you. Do you have any points to suggest which I have forgotten? Feel free to write in the comments section below. Enjoyed reading? Then share it with your friends. Since I’ve stopped comparing myself to others, I’ve found I’m a much happier person. I realize things happen on my own time. This is a very good list and very well written. I found several that I should work on. Thank you for sharing! We should not think negative because we attract in our life reflection of what we think. We also attract what we judge. If we think people are dishonest, we attract dishonest persons. If we are focused on sickness or disease, we attract more. If we focus on poverty or lack, we gain nothing more than an empty bank account. Everything we hold in our conscious thought becomes our cage and a reality. I really needed to read this today! Why do we compare ourselves to others so much?! these are all such great tips! and they do all work. i try to do this every day, but it’s harder than it sounds LOL! This is really a great post and thanks for your tips. I’ll definitely keep this in mind and thanks for sharing. This is a great list to pay attention, they are just little things or situations. but carrying them all together just bring us unhappiness. Being happy is a job you do every day, one piece at a time with so much grit and a lot of willpower! I can feel the post! Stop saying yes to everything! You’ve literally spoke out my mind! I agree with each and everyone of these things. Stop worrying about everything is key too. Sometimes we worry about stuff that it’s not going to even happen. I catch myself doing that often and that’s definitely not something that we want to be thinking of. Great post! These are nice things to remember for all. A reminder for everyone. It really is very important to set your focus inward and not outward. The world only causes trouble! 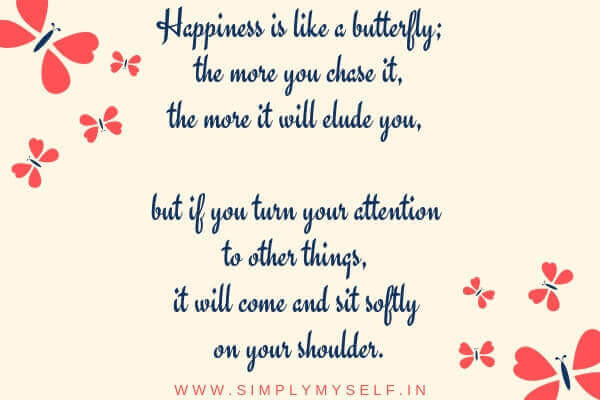 Happiness is a choice and it is true that if yo stop doing everything above then you will be peaceful and happy. I agree with all these point yes, Being perfectionist and stop worrying about what others think is not good. This such a post! I appreciate it. 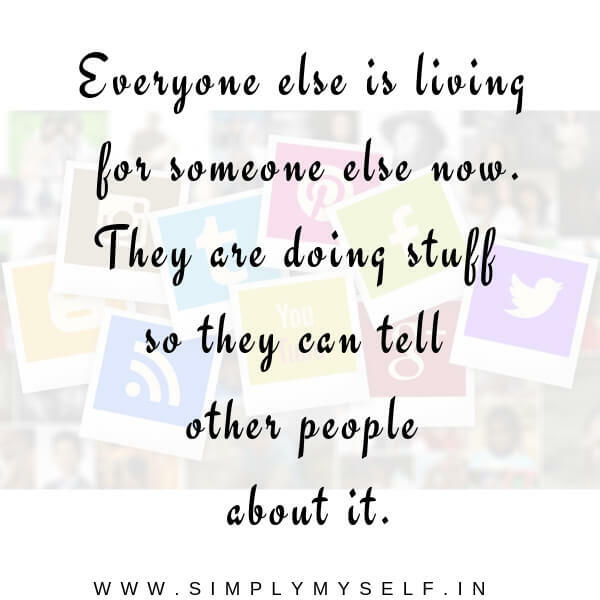 yesss social media is the death of us all and ironically, we cant live without it. Cheers to more social media! 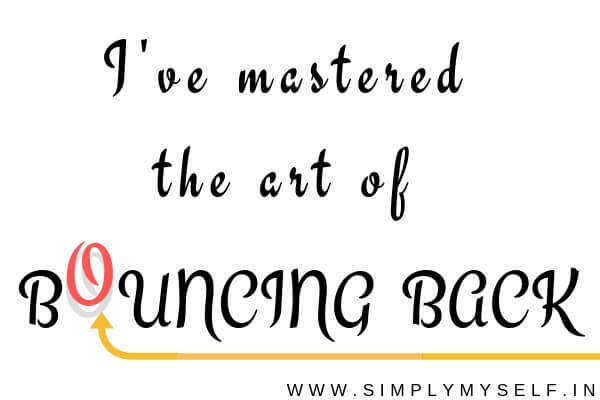 I believe that your blog post perfectly matches my positive thinking, working in parallel! These are great tips and so right, I procrastinate always, say no all the time and think that everything should be perfect. I really need to change that because it does take away my happiness. YES! So much yes. I believe in focusing on the happy things and hopefully the rest will fall away. You couldn’t have said it better and I am happy to report that I legit don’t do any of these things!!! If I sense myself getting a little overwhelmed it’s because I started to do one of these things again and then I immediately STOP! I think I’ll disagree with the idle mind point. You do need some time alone to think and get perspective. But all the other points are bang on! Such good advice right when I needed to hear this! I like these ideas! I always focus on being happy. It takes less energy! “Stop seeing intentions behind others’ actions.” This really spoke to me! I have this habit of always over thinking lol This one’s so spot on. That’s an excellent list, a bit difficult to follow, but we can always try. I had to learn the hard way to stop expecting others to live up to my expectations. Time and time again people let me down and it caused me so much stress. Now that I don’t worry with it, I am much happier. this is a good list of things to follow. Hahah If only I can get with the program and stop procrastinating all together 😛 but I am trying! Thank you for the reminder of all these tips. Always good to have a reminder 🙂 Thanks for sharing. Envy is such a difficult thing these days. Our whole system of communications seems to be built around envy, unfortunately. I wish this were not so. But you are right, gratefulness instead of envy is a key to happiness. Love this! Although would have to say that happiness is really a choice ain’t it. 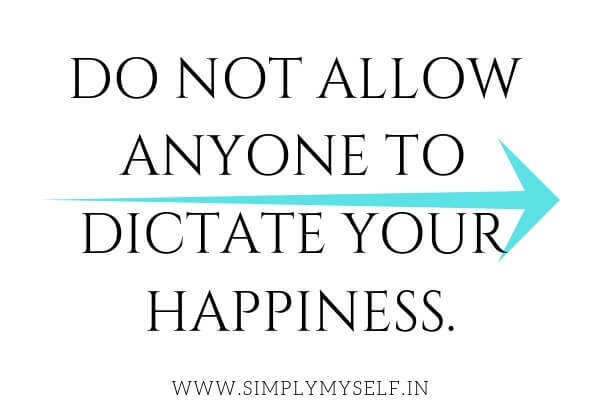 Make that conscious decision to CHOOSE to be happy. Thanks for sharing. I found myself nodding a lot through this post because half of these things that you said we need to refrain from are things that I do. For example I can compare myself to others, am a perfectionist and can get overwhelmed by negative emotions. Too much expectations leads to disappointments and unhappiness. It better not choose that path.